Here is the livestream video feed to the White House Press Briefing on February 14, 2017. 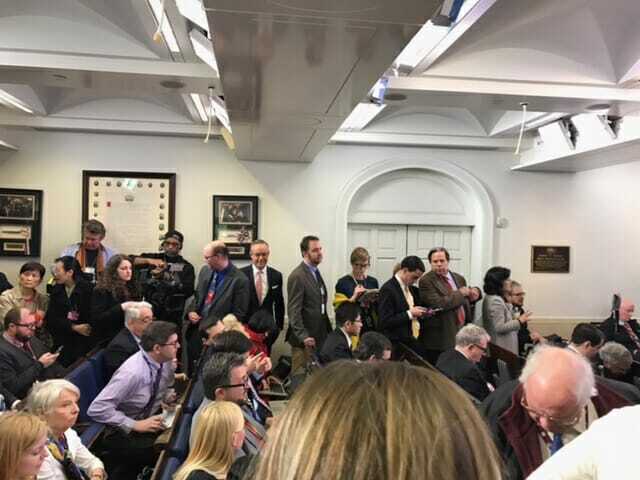 The Gateway Pundit DC correspondent Lucian Wintrich is attending the briefing today. Lucian sent this photo a few minutes ago. The room is packed. We have some very special questions planned for Trump White House spokesman Sean Spicer.